An FDA advisory committee has voted overwhelmingly to recommend over-the-counter status for Claritin, Allegra, and Zyrtec, three popular prescription allergy drugs. But the drugs' manufacturers are opposing a switch, fearing that it could hurt their profits. As over-the-counter remedies, the drugs would no longer be covered by prescription plans; consumers would actually care how much they cost, and the manufacturers would be forced to cut prices. 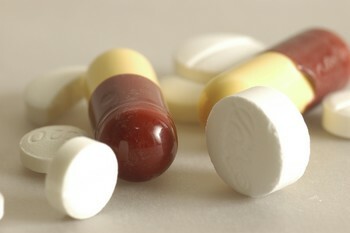 In the United States, the cheapest online pharmacies sell Claritin for more than $2 a pill; local drugstores charge more. In Canada, where Claritin has been available over the counter since it was introduced there in 1989, pills sell for about 70 cents each. Even if some of that difference is due to other factors, allergy sufferers without drug coverage would clearly gain if the FDA lifted the prescription requirement. And although consumers with prescription plans pay little or nothing for Claritin, Allegra, and Zyrtec at the point of sale, the cost shows up in higher insurance and co-payment rates. Insurance companies want the drugs to be available without a prescription because then they wouldn't have to cover them. But they have plausibly argued that prescription allergy drugs are safer than many over-the-counter remedies because they don't make you sleepy. Driving under the influence of antihistamines may not be a crime, but it can be just as hazardous as driving under the influence of alcohol. Manufacturers, meanwhile, can't very well claim that their products are unsafe. Instead they say lifting the prescription requirement would cut doctors out of the loop, depriving consumers of their guidance. Physicians, perhaps worried that fewer office visits will mean less income, are lining up to agree. There is little question that increasing health-care costs are a problem that affects all Americans. Small businesses have difficulty hiring new employees because they can't afford to provide health insurance. Copyright 2019 4benchmark.com All rights reserved.